plasq™ today released major updates to Comic Life 2 and Comic Life for iPad, the latest editions of its award winning Comic Life. Comic Life 2.2 now supports Windows and the ability to export comics to ePub and CBZ formats. 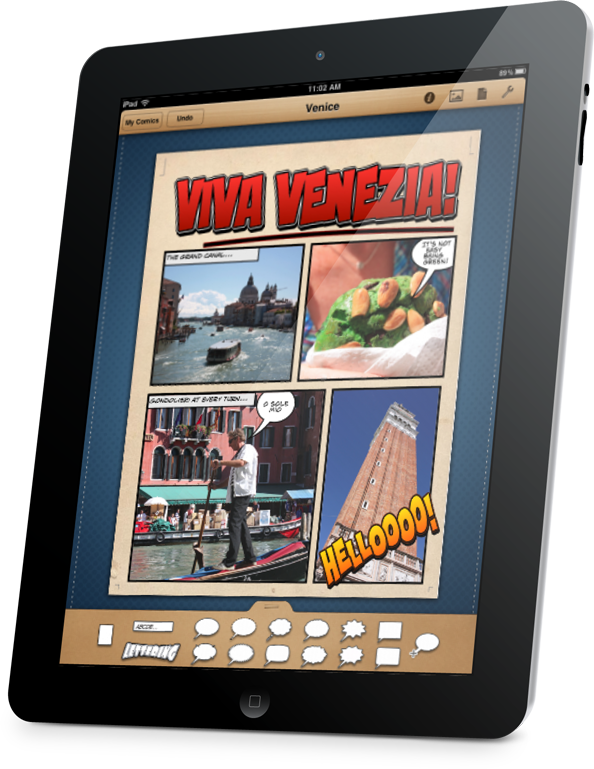 Comic Life for iPad 1.2 hosts extensive import and export options. Comic Life archives can now be exchanged between all three platforms. From this point forward we will be simultaneously developing for Mac, Windows and iOS. And document interchange between all platforms means our users are free to create when and where they please. plasq™ today released major updates to Comic Life 2 and Comic Life for iPad, the latest editions of its award winning Comic Life software. Comic Life 2 is now available for Microsoft Windows and version 2.2 adds the ability to export comics in the ePub format. Comic Life for iPad 1.2 gains extensive import and export options. Comic Life Archives can now be exchanged between all three platforms. 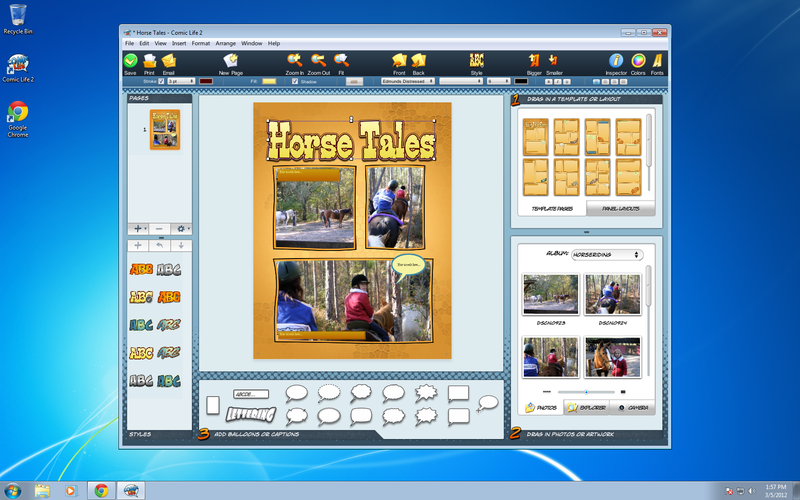 Version 2.2 brings all the key Comic Life 2 features to the Windows platform: full template support; advanced balloon control and text flow for precision layout; predefined and freeform shapes for more creative expression, multiple export options, and an enhanced user interface that combines the ease of the original Comic Life with an intuitive layout for quickly accessing advanced editing tools. 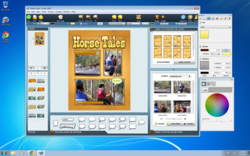 For the first time on Windows, Comic Life 2 users also have the advantage of an integrated spell check system (a much requested feature from the classroom) and can export comics as PDF files for easier publishing and sharing. The application user interface and spell check dictionaries are available in, English (including a UK English dictionary), Dutch, French, German, Italian and Spanish. With version 2.2 all Comic Life 2 users can now export their comics as e-books in the ePub format, allowing their creations to be read in Apple’s iBooks or on Amazon’s Kindle or Barnes & Noble’s Nook. Also supported is the CBZ format so that comics created in Comic Life 2 can be read in a variety of popular comic reader apps on many different platforms. Comic Life for iPad 1.2 hosts a new set of import and export options that make creating and sharing comics on your iPad even easier than before. New features include iTunes file syncing, exporting to Dropbox, WebDAV support, and high quality option when saving photos to your Photo Library. The Comic Life Archive format allows comics to be shared with all the latest editions of Comic Life, meaning a user can start a project on their iPad and finish it on any desktop with Comic Life 2 or vice-versa. Comic Life 2 for Mac and Windows is available today from plasq’s website for $29.99 USD. Mac users can also obtain Comic Life 2 from the Mac App Store. Comic Life for iPad 1.2 is available for $4.99 USD (or iTunes equivalent in other currencies) and available worldwide exclusively through the iTunes App Store. Comic Life for iPad is also available through the iTunes Volume Purchasing Program – please see apple.com for details. 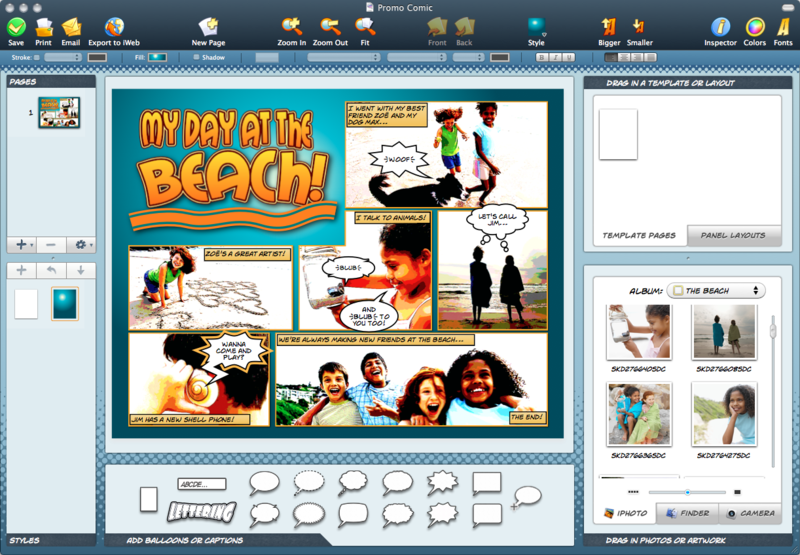 Comic Life 2.2 requires Mac OS X 10.4 or better or Windows XP Service Pack 3 or later. Comic Life for iPad is compatible with the original iPad and iPad 2, and requires iOS 5.0 or later. plasq is a loosely coupled collective of computer enthusiasts from around the world joined by a love of great software and the desire to unleash the tremendous potential of today’s computer systems.